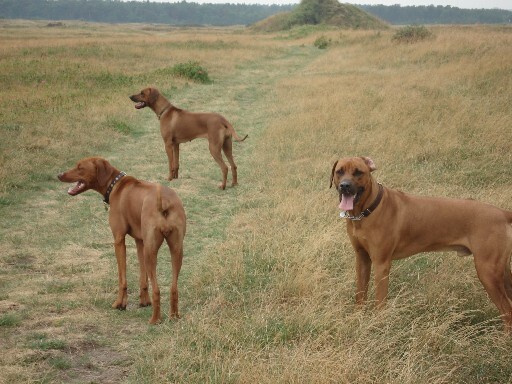 Best in the world is to be with other Ridgebacks, Kianga in front, rear sister Fika, Gaius right. Gaius seems to think that Kianga is so beautiful. Gaius and sister Fika teases Kianga.